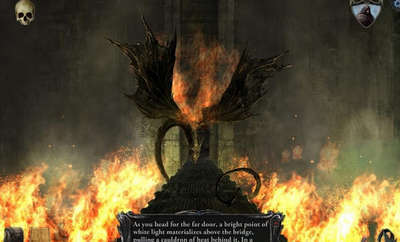 Shadowgate for Android (version 1.0.6335) is the perfect port of a classic game. The graphics are vivid and create a sinister setting, the puzzles are spot-on, and controls are fluid. 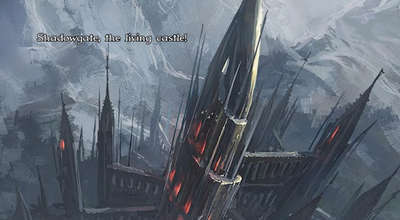 You play within The castle of Shadowgate, which is a puzzle box, a sinister stronghold of secrets, challenges, and obstacles which ultimately provides the opportunity to become a hero of legend. - Customized UI: Play the way you want! Use modern wheel-based icon commands or the classic on-screen commands. - Difficulty Levels: Four different difficulty levels (from the novice to expert) that actually change the gameplay experience and puzzle structure. - First Person Adventuring: Utilize your inventory, mapping system, and intuitive UI to complete your quest. - Dangerous Dungeons: Tons of beautifully illustrated rooms featuring both new and familiar locations, offering a new gameplay experiences. - Mind-bending Puzzles: Lots of new and updated puzzles that seamlessly expand on the original game. - Retro Mode: Play the game like it’s 1989! Toggle on pixelated graphics, listen to Hiroyuki Masuno’s original NES chip tunes, move between rooms with NES transitions, and enjoy the text in retro format. - Over 50 player achievements to unlock. 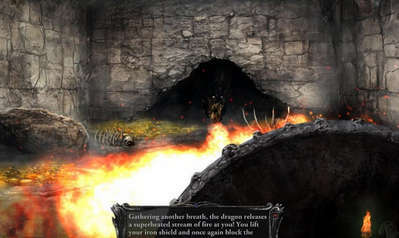 - Storytelling: Shadowgate features dramatic cut-scenes and all the same great storytelling you expect from the original creators. - Cinematic Score: A digitally-orchestrated, dynamic soundtrack that changes with gameplay by composer Rich Douglas. - Soundscapes: A complete atmospheric and puzzle-based sound design featuring hundreds of sound effects. This build has no google play DRM. Install Apk, extract and copy ‘com.zojoi.shadowgate’ folder to sdcard/Android/obb/ Launch the Game and play!